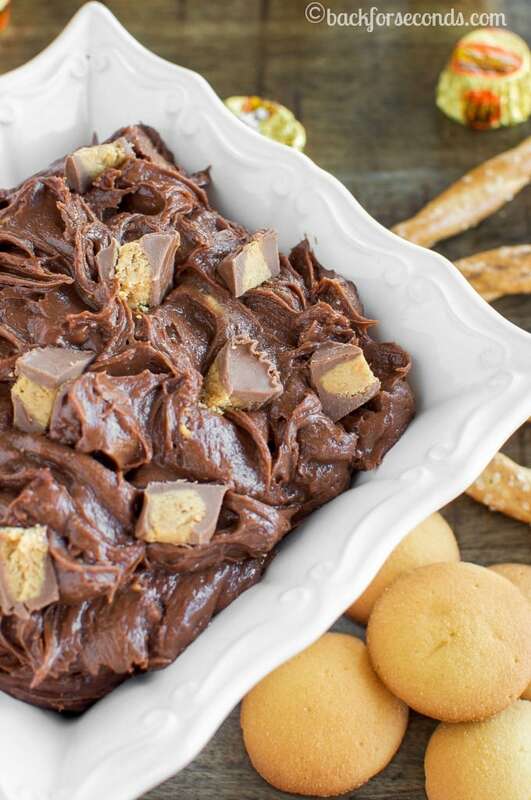 This Peanut Butter Cup Brownie Batter Dip is an awesome, no-bake, quick, and easy dessert or snack you can whip up in minutes! No boxed mix needed! 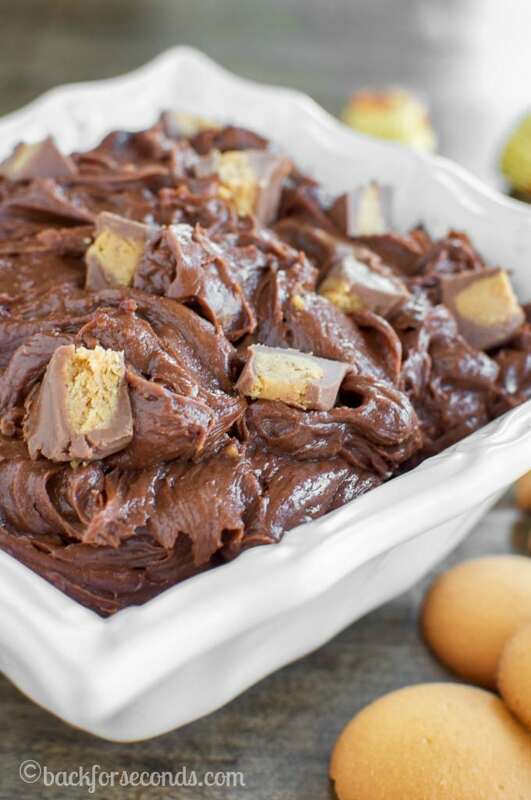 When you have a serious chocolate and peanut butter craving, and you need it NOW, this is the recipe for you!! 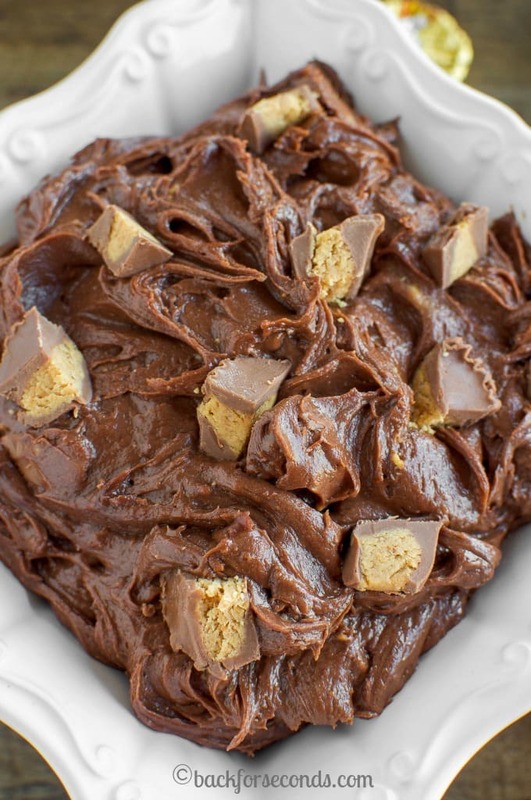 No baking, 5 minutes to whip up, and before you know it you’re in brownie batter peanut butter cup heaven! This dip is ridiculous. It’s almost too good. 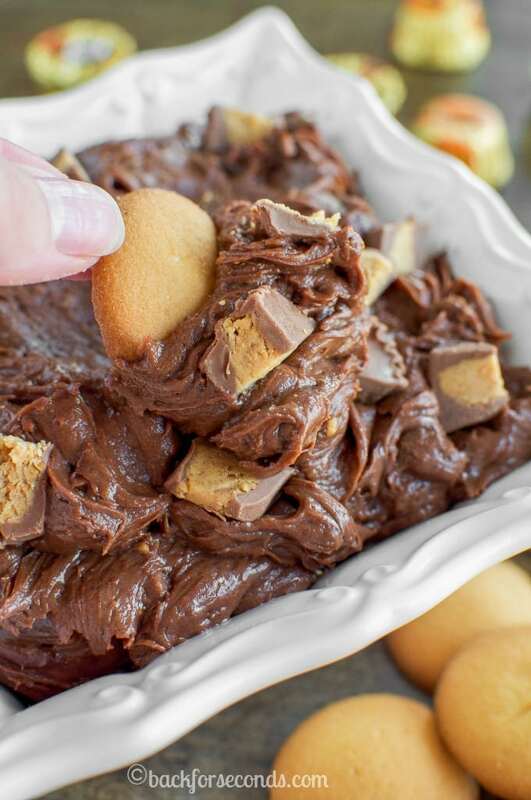 Be warned, it’s nearly impossible to “just have a little taste” of this glorious dessert dip. Now do yourself a favor and invite a few friends over and make this dip. You’ll be glad you did! No pretzels for me, just give me a spoon! This is pure evil!….in a perfectly sinfully delicious way! 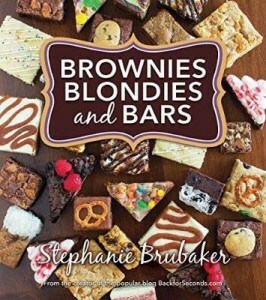 I am ALWAYS down for pb and chocolate – this looks sinful! ooo if I made this at home I think that Thomas would eat all of it before I even got to taste it! This has his name all over it! This dip is seriously dangerous! In a delicious way of course! I don’t think I could stop eating it! I’m sooooo hungry right now I need this n my life ASAP! I made this, but needed to add more cream cheese and heavy cream in order to make it less thick. I also cut the powdered sugar to 1/2 cup. Delicious!